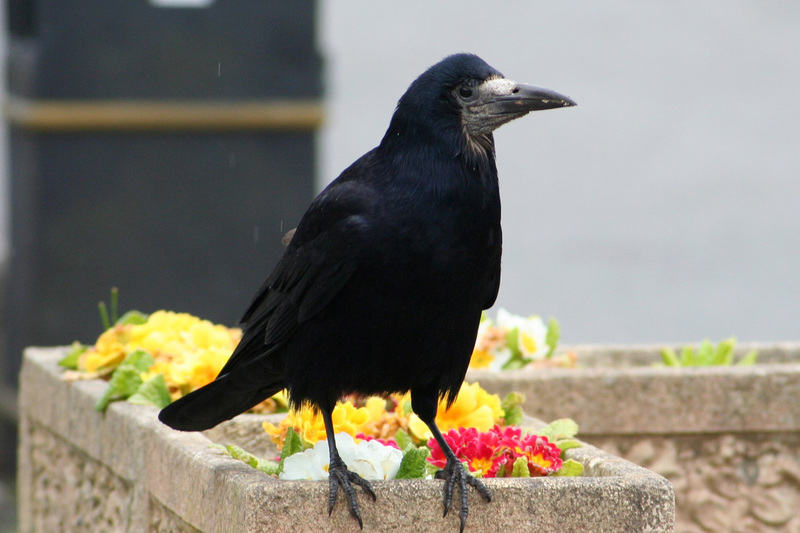 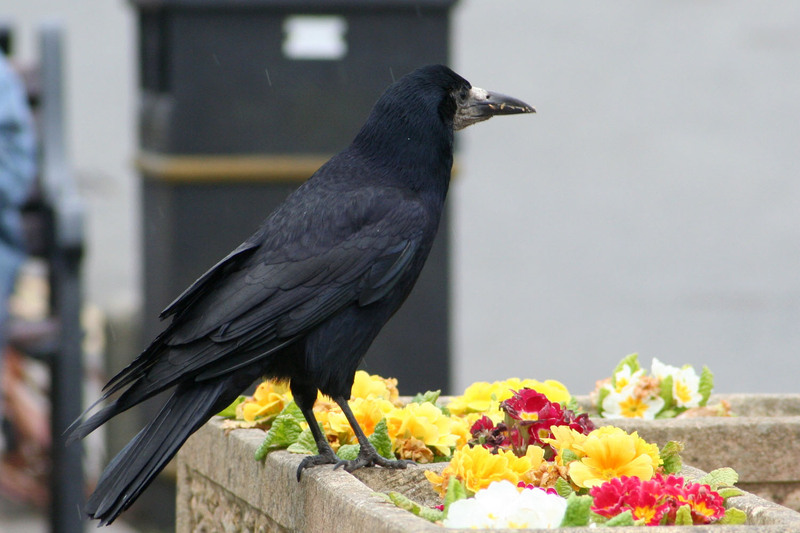 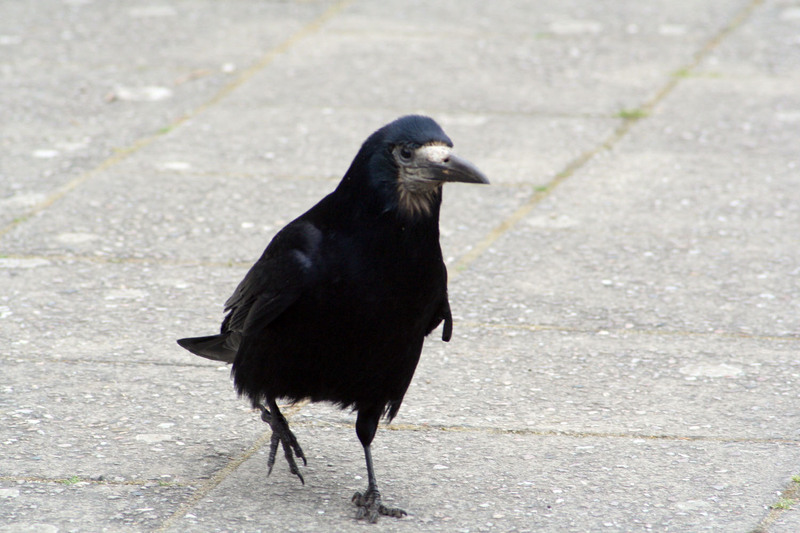 The Rook is a member of the Crow family and not usually a garden visitor. 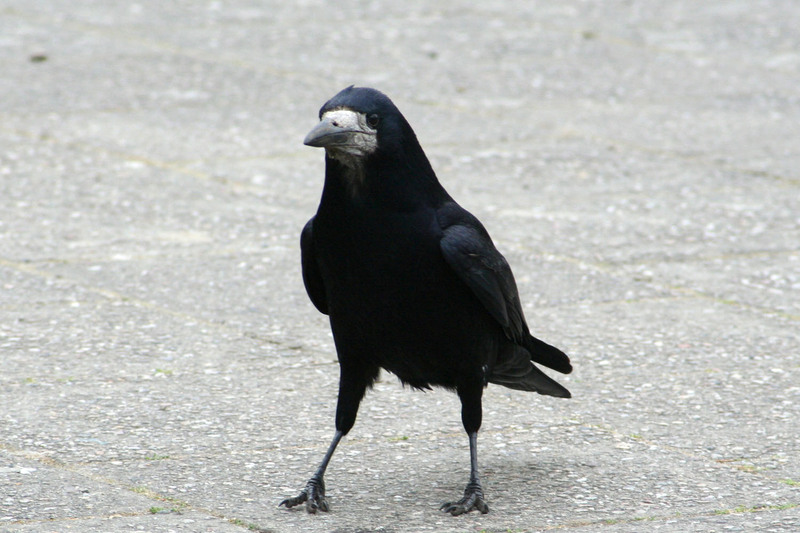 Similar in appearance to the Crow but differentiated by the pale base to its bill. 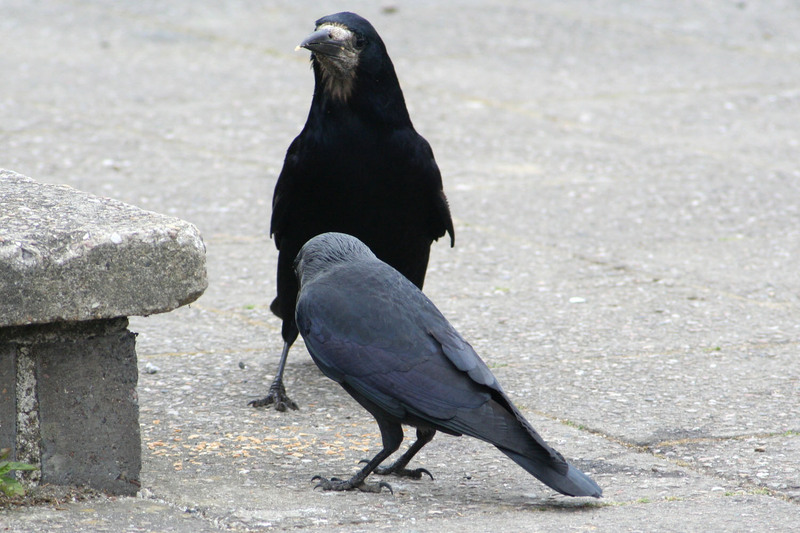 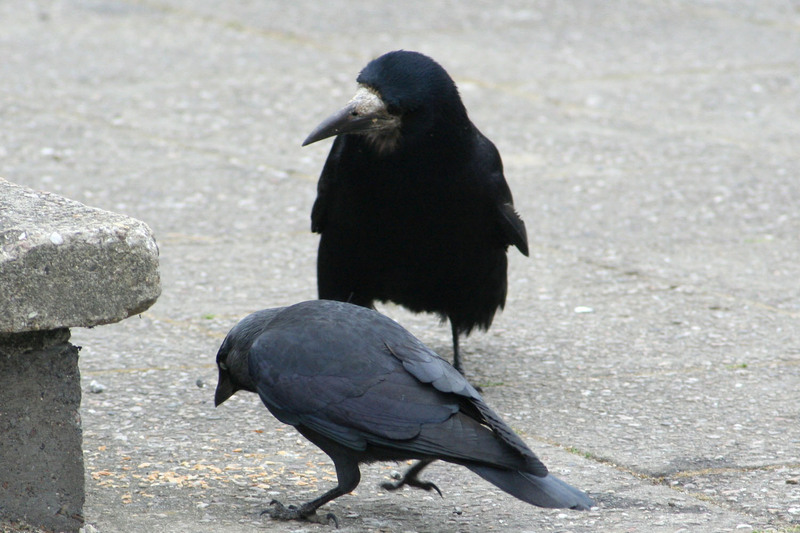 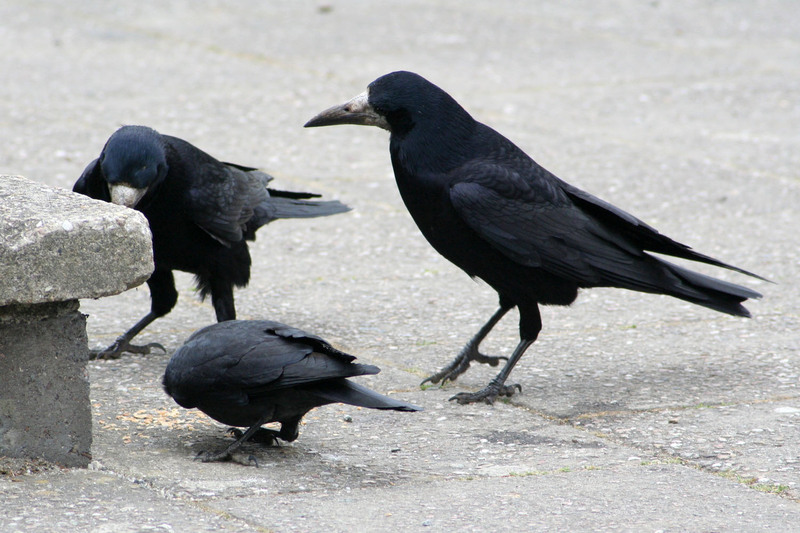 Often seen with Jackdaws, as in some of the images here.